Kyoto is known for it's temples and shrines. That's the city's big cultural draw for most visitors. Traditional architecture, geisha, crafts, and local food are also hyped up in promotional materials as the reasons for visiting Kyoto, but there's something missing from these lists that many tourists don't seem to focus on: the gardens here are the most spectacular in the the entire nation. Period. 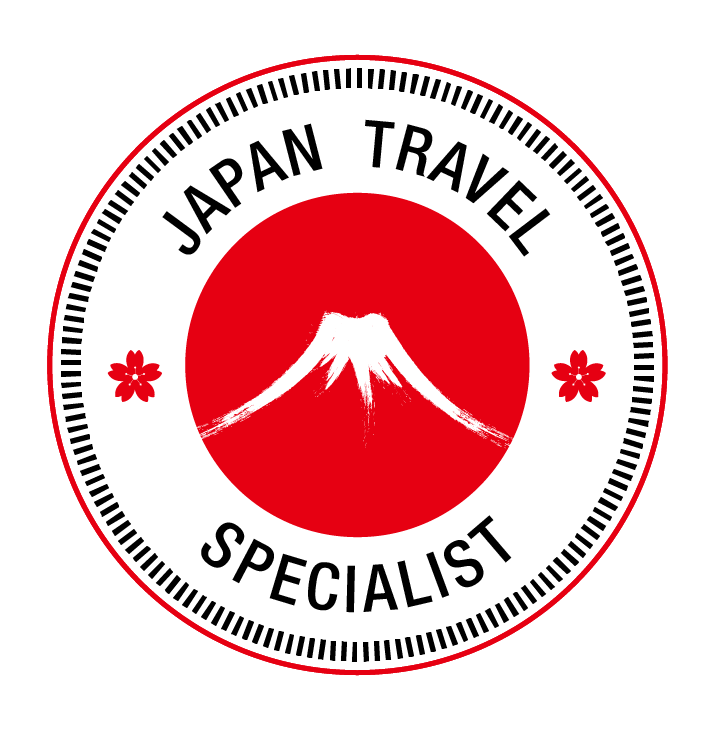 The most exciting email we can get from a guest inquiring about a tour of Kyoto is one requesting specifically to focus on gardens during their time in the ancient capital. They are in for a real treat, as the variety and depth of the landscapes here is positively dizzying. From expertly designed paradise gardens that conjure up visions of heavenly splendor, to wild landscapes meant to strolled through while pondering our place in nature, the balance between careful tending to the grounds and letting nature run wild is on display for your viewing pleasure. The famous dry landscapes of Zen gardens are too numerous to count in a city with hundreds of Zen temples, including a few surprisingly modern and controversial interpretations. No matter what kind of garden you want to experience, you're sure to find it in Kyoto. This is a wonderful landscape that stands out from the rest of Kyoto's gardens in a number of ways. Created in the late 1800s, it has some modern touches that made it unique for its time. A stream snakes through the landscape, and the glimpses of flowing water between lightly rolling hills creates a wonderful sense of depth as you gaze out at the garden. The water is provided by an underground canal running from Biwako, Japan's largest lake, on the other side of the mountains that frame the view of the garden. This impressive engineering feat (for the 1880s), coupled with inspiration from the lawns and open spaces of English gardens, made for a revolutionary landscape that broke away from traditional garden design. Murin-an is still off the radar for many tourists, and is easily reachable when visiting Heian Shrine or the Philospher's Walk in northeast Kyoto. There are a number of wonderful design details in the garden that call for a close examination, as well as a charming wooden teahouse where many elements of traditional design are on display. Tucked away in a corner of Myoshinji Zen complex is one of Kyoto's best secret gardens. A noticeably striking element of Taizo-in's gardens are how well they hold up in all four seasons. The water lilies and lotus flowers are in full bloom in early summer, fall brings a splash of color to the trees above the pond, and the starkness of winter lets the chunky, voluminous raked patterns in the zen garden stand out and draw your full attention. Of course, spring brings blooms to one of my favorite cherry blossom spots in this part of the city, a massively sprawling tree held up by numerous bamboo poles and trellises. There's a trick played on your eyes in the pond portion of this garden that renders the whole thing as a miniature landscape. The larger plants and rocks in the foreground dwarf the smaller ones in the distance, creating a tableaux of a long river valley of waterfalls and hills stretching into the distance. It's a masterful landscaping effect that is really enjoyable to ponder as you enjoy the landscape. Taizo-in pairs up nicely with a visit to Kinkakuji golden pavilion and Ryoanji rock garden Consider walking down to Myoshinji to visit this garden, about a 20 minute walk south from Ryoanji. The secret is out: Tenju-an is one of the city's best gardens. Thanks to recent guidebooks that have started highlighting this once-quiet part of town, it's no longer a hidden gem. Still, it's a gem worth visiting if you don't mind other tourists accidentally photobombing your pictures of this amazing garden. 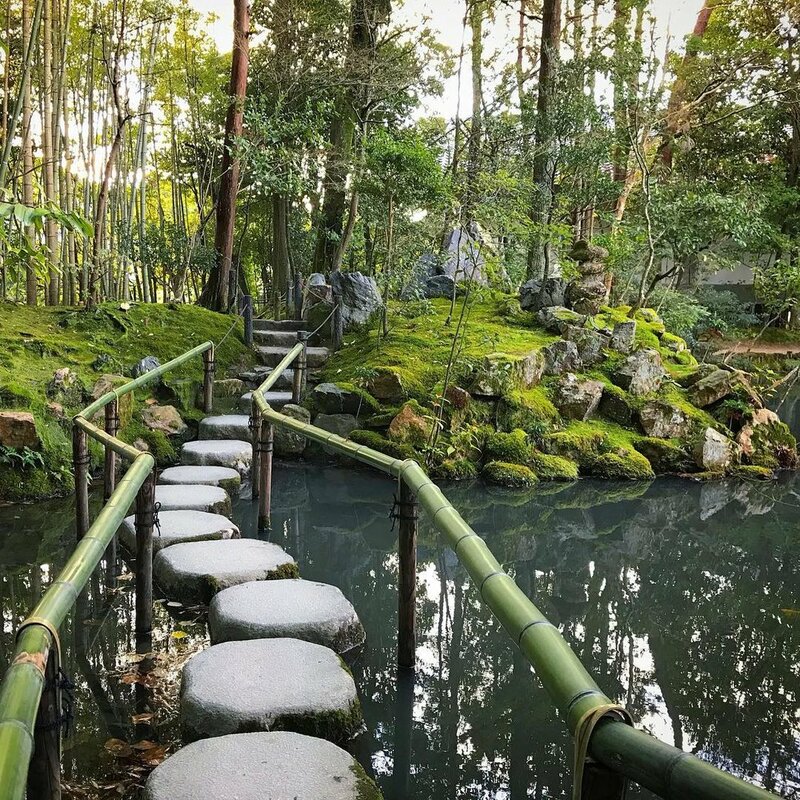 Tenju-an has two very different landscapes: a dry Zen garden with beautiful maple trees providing a leafy background, and a magnificent pond garden that beckons you to stroll around it and see the landscape from various angles. There's a little-known ghost story surrounding the founding of this small subtemple in the Nanzenji complex, but the garden is the main draw, as the temple itself is off-limits most of the year. The stepping stones across the water are particularly Instagram-worthy, but the whole experience here is wonderful. Visit at the end of the day to have the place all to yourself. We've blogged about the collection of gardens at Daitokuji several times before. The whole complex features 23 temples each with their own landscapes, but only a handful are ever open for viewing. It takes a few hours to really examine the 3 or 4 gardens that are usually accessible and fully appreciate them. Add in a stop for matcha tea along the way served by a Zen priest, and you have a wonderful half day experience within the walls of a sprawling complex totally removed from the outside world. There's a palpable feeling of wabi-sabi in the air as you explore the aged temples and crumbling garden walls in Daitokuji. A must-see spot for Zen garden lovers, and those interested in escaping the tourist crowds. If you're looking for a garden that really does maintain an aura of removed secrecy, it's Rengeji. This one if out of the way, on the far north rim of the city, only accessible by car or the local Eizan train line. There's a good chance you'll be the only visitor here as you admire the garden from the temple's open porch. The pond here is spectacular. The water is crystal clear and shallow, giving you a good look at the various fish of all different size swimming about. Massive black carp shelter in the shade of the rocks, while tiny orange guppies flutter about at the surface. This is one landscape that is easy to get lost in and stare at for an extended period of time, contemplating the rock arrangements, and the contrasting elements of water and leaves. Rengeji remains one of our favorite isolated gardens to share with guests who book a premium tour using a hired vehicle for the duration of the day. Most visitors to Kyoto who've read up on the gardens here know about Kokedera, the moss temple. It's as famous as it is hard to get into, requiring a handwritten letter to be sent months in advance to secure tickets. Thankfully, a wonderful mossy alternative exists in the hills of Arashiyama. Gio-ji is tiny, but provides one of the best moss landscapes in Japan. This is truely a one-of-a-kind location that always elicits interesting comments from our guests. Children have referred to it as a fairy kingdom, and more than one grown adult has pondered what it would feel like to roll around on the fluffy moss! The change of the season is particularly noticeable at Gio-ji. The rustling canopy of green maple leaves turns orange and red in Fall, and the falling leaves make for a colorful speckled carpet of moss. This garden is being discovered by more tourists constantly, so expect a few other visitors. Gio-ji is also a great spot to experience komorebi, the uniquely Japanese concept of sunlight and shadow filtering through branches onto the ground. The shifting light through the trees makes any time of day excellent for pictures here. Most visitors are drawn to Eikando for its colorful architecture and a rare Buddha statue (trust us, this one has a really interesting backstory), but the gardens are not to be missed here. There's one in particular that always catches my attention as I walk past: a fantastic dry landscape of meandering white gravel as it flows through islands of moss and stone. This appears as water running downhill, creating whimsical ripples as it twists and turns. To the right of this layout is an actual pond with flowing water, giving the sudden illusion that the sand magically turns to water. I have a feeling many visitors simply walk past this small garden. It's a wonderful little self-contained landscape with lots of detail to contemplate. In the early summer, the wet moss is home to dozens of tiny frogs, out of sight but not silent. Their surprisingly loud croaks mix with the flowing water to create a peaceful atmosphere. Eikando is also home to a famous maple tree garden. The colors change early here, usually starting in late September, but expect long lines to get in by November. There's an old Zen story about a monkey who reaches out to the moon, thinking that he can grab it and capture its beauty within his paw. The moon he sees, however, is a reflection in the water of a pond. Occasionally you'll see a ink painting of this scene on a teahouse wall or on a folding screen in a temple. This foolish monkey dangling above the surface of water straining downward to grasp the reflection of the moon is a lesson for Zen priests: if you're going to reach for a goal, make sure it's the real deal. Don't fool yourself with illusions. Understand the true nature of things. Be wary of reflections. This last garden breaks the rules. Some gardens are meant to be walked through, while others are best admired from one external vantage point. Rarely are these landscapes designed top be viewed at a special time of day. However, Jojuin, a subtemple in the well-known Kiyomizudera complex, features a garden known as the "moon garden," best viewed in the evening when the moonlight is shining upon it. The whole point of the layout here is to focus on the reflection in the pond. It's a striking effect that really works. The landscape - merely beautiful above water - is transformed into an even more impressive vision when seen in the calm surface of the pond. Perspective lines and heights change, and you're essentially getting two vastly different gardens at once. The garden above is cluttered with stones, shrubbery, and trees, but the watery version is reduced to elegant simplicity free of distraction. There's a Zen lesson here, I'm sure, but like the best Zen gardens, it's left up to you to make your own interpretations and apply them inward to learn something about yourself. A night viewing of the Jojuin garden is one of the finest experiences I've had in Japan. It was incredibly special and moving. The dual gardens were simply perfection. As we examined the landscape, a grey heron landed in the pond and sent ripples through the water, breaking the spell and reminding us that there is actually only one reality. This was such a fine moment that I actually do not want to return to this garden ever again. I know it sounds crazy, but a second viewing would be reaching for a reflected moon, leading only to disappointment as I would inevitably compare it to the first time. That one moment of perfection on a November night with a full moon makes Jojuin my personal favorite garden in Kyoto. The experience was satisfying enough for a lifetime and worth savoring forever. Ichi go, Ichi e.
Unfortunately, this garden is rarely open to visitors. There are dedicated viewing seasons (more info here), and we highly recommend that you visit when the garden is open for night viewing.